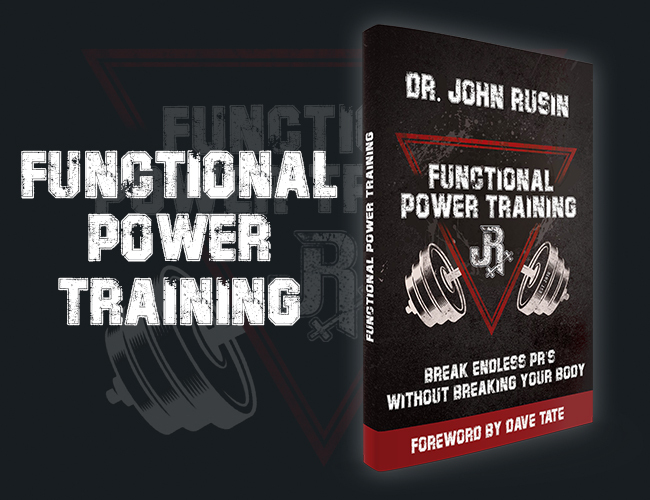 We’ve got the hybrid strength coach himself, Matthew Ibrahim, back on JRx today with another gem of a guest article! 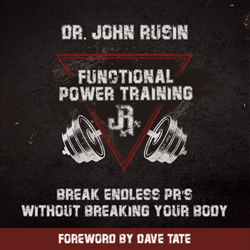 We are talking about prehab-rehab which is a staple topic here on DrJohnRusin.com! From the floods of emails and rave reviews of Matt’s last article focusing on corrective exercises for the hip and core, we had to get this guy right back in the drivers seat, this time focusing in on the shoulder and thoracic complex. Do yourself a favor, and study this article, especially the videos where Matt coaches you thought these movements to ensure corrective exercise is executed correctly! By the time you’re done with this one, blend the two articles together to have your ultimate prehab program! Enjoy! 1. If you have experienced shoulder pain secondary to posture or training, you know it can be pretty brutal. But guess what? We can limit the risk of shoulder injuries and enhance posture with some simple yet effective prehab movements. 2. Targeting the backs of the shoulders for postural enhancement using simple tools like the foam roller and band can reverse those daily postural stresses your body is forced to endure. 3. Improving shoulder and thoracic mobility while tapping into a stable core can position your entire body for long term success both in the gym and in your daily lives. 4. Don’t discount properly executed crawling. It can be one of the most efficient ways to not only identify faulty movement patterns, but remediate them as well in as little as a few minutes a day. Do you know what region of the body comes in a close second to lower back pain and dysfunction? You may have guessed it, but before we jump into that don’t forget about the knowledge bombs I highlighted in Part I of the Prehab-Rehab series focused on importance of corrective exercises for the core and hips, and why they belong in every training program. Now that you’ve had a little refresher from a few weeks ago, it’s time to shift gears a bit and dive into some very important prehab-rehab upper body exercises. First, let me shed light on the monumental problem I see on a daily basis and throw in a little anecdotal backstory on why posture and prehab is my true passion in life. Have you ever heard of the term, “2nd degree impingement.” How about, “Glenohumeral internal rotation deficit (GIRD)” and not the one down deep in your bowels talking to you after Chipotle! Raise your hand if you’ve had these shoulder issues before? On second thought, don’t raise your hand, because it might actually cause you shoulder pain. That’s considered a free consult by the way, so you’re welcome in advance! I was posed these two questions by an orthopedist nearly two years ago who I was seeking medical opinions for my own personal battle against the dreaded shoulder pain and dysfunction. I was having some serious limitations and pain in my right shoulder. Big deal, welcome to the club, right? While constant pain, discomfort and frustration is nothing fun, it has almost become the norm in our society. Not only did it hurt, but it really altered my training performances as well. Ah, don’t even get me going about it! My stubborn pride and ignorance in the weight room was the main culprit. Right away, I knew I felt something out of the ordinary in my right shoulder, yet I didn’t address the problem and continued on my path to nowhere. The worst part? I wasn’t adding enough prehab-rehab shoulder drills to my warm-ups prior to upper body lifts. I was progressively getting worse, and digging my own grave in the process. It’s a recipe for disaster and will never work out in your favor. More importantly, I feel that most people do the same thing I did; they ignore the problem until it is such a glaring problem that it rears it’s ugly head in the form of debilitating pain and monumental dysfunction. No Excuses Not To Learn From My Mistakes! Long story short, I was fortunate enough to have caught this shoulder issue just in time, and was able to go through proper rehabilitation and a heavy dosage of prehab-rehab exercises with my physical therapist. All this work that could have been prevented with a few quick and easy measures could have been streamlined if I wouldn’t have been so stubborn. Eventually, physical therapy and prehab led me to getting back to what I loved doing most: training. I don’t want you to fall short to this very same problem. Trust me, it’s not fun having your girlfriend help you put on your own t-shirt, and when I say t-shirt you know I really mean underwear! I also don’t want you to have to go down that ugly path I did, because waking up in the middle of the night with shooting pain in your shoulder is never a good thing. I’d much rather set you on a path full of increased fitness and shoulder health, accompanied by many feats of strength, while ultimately avoiding injuries and setbacks along the way. THE SOLUTION: PREVENT THE FIRE BEFORE THE FLAMES START! Do yourself a favor by starting to incorporate more upper body corrective exercises in your warm-ups to help bulletproof your shoulders for the long-term. No more shoulder pain. No more nagging soreness. Start feeling what optimal shoulder health should really feel like. Check out these 8 prehab-rehab exercises below to give you the tools you need to get there. Here are the eight exercises you should be prioritizing if you want healthy shoulders for the long run. 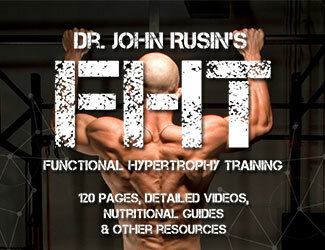 Check out the video tutorials plus my coaching notes and key points below each. Regular pull-aparts are great, but try this option out for a more focused approach with the foam roller as your external cue. You will not only activate some postural stabilizers of the posterior shoulder girdle, but put a nice passive stretch through the muscles of the chest and anterior shoulders while you’re at it! This one will get the muscles in your rotator cuff all fired up! It looks easier than it actually is. Give this one some respect, because when executed properly, it can be a game changer for shoulder health and position. 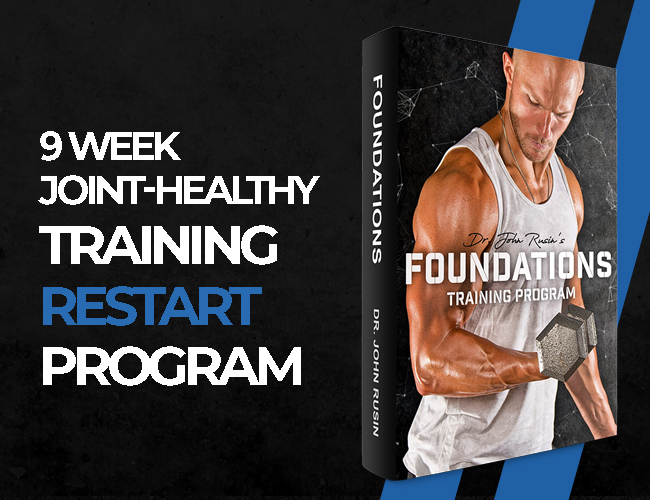 Program for strength, meaning this is not an everyday exercise! A step up from your traditional floor overhead flexion pattern, this version with the addition of the band will ensure proper patterning before you perform upper body and overhead lifting. The use of the band also taps into the synergistic spiral effect of the shoulder that Dr. John Rusin has previously talked about. Give this one a try to increase your shoulder stability in addition to some serious core engagement. Don’t forget about the position of the legs, hips and core on this one. Take care of first things first; make sure you can maintain a tight push up position with tension throughout the body before progressing into the taps. I’m a big fan of this prehab-rehab drill for a variety of reasons, but most notably because it forces you to own your position while moving through the exercise. You really have to focus on engaging the shoulder blades, while also avoiding it to pull you with it. If you picked up on anything from Part 1, you know how important breathing can be. Implement your breathing patterns in this drill as well for optimal results. Slow and controlled here is the name of the game. Be smooth and rhythmical with your crawl and when in doubt, think BABY! Isolating the lower trap area during your warm-up is crucial to optimal shoulder health. This prehab-rehab drill is a great way to get started on that front. Mobility is one thing that can almost never be overtrained, so get after this one! The serratus anterior muscle is quite important when it comes to optimal shoulder health and function, which is the prime beneficiary muscle in this prehab-rehab exercise. Give this drill a go to get the ball rolling on that front. Thanks for the exercises and coaching tips! I’ve started to use them to improve my shoulder stability for benching (for which progress is slow). How do you suggest I program them? I was thinking of doing 4 each day.